A two-roomed apartment in a family home. Lounge area with settee, dining table, TV and Wifi. Bedroom has a double bed and ensuite shower room. Private entrance, use of garden. 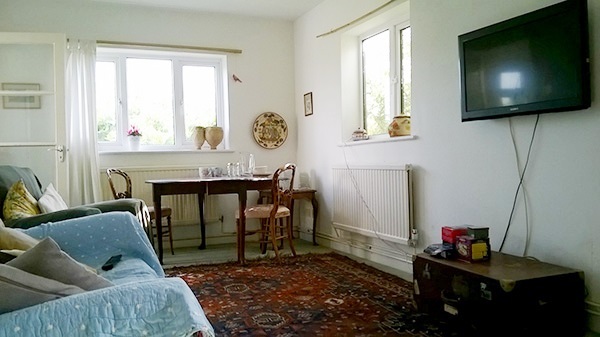 Wane House is in Morcombelake, West Dorset, midway between Charmouth and Bridport. Excellent bus links to the east and west. Great views towards Langdon Hill Woods, Golden Cap and the Jurassic coast, close to the SW Coastal path. Private off road parking available. Good eating pubs 1 mile, farm shop within 100yards, Lyme Regis 4 miles, Charmouth 2 miles, Bridport 4 miles.